Lemon Drizzle Cake has a sharp, lemony flavour that is the perfect foil to the comforting warmth of a hot, milky cup of tea. I first blogged this recipe back in 2014, but I’m featuring it again today because with a few small tweaks to my original recipe you can make a much easier version of the cake that will be served at the Royal Wedding of HRH Prince Harry and Meghan Markle. 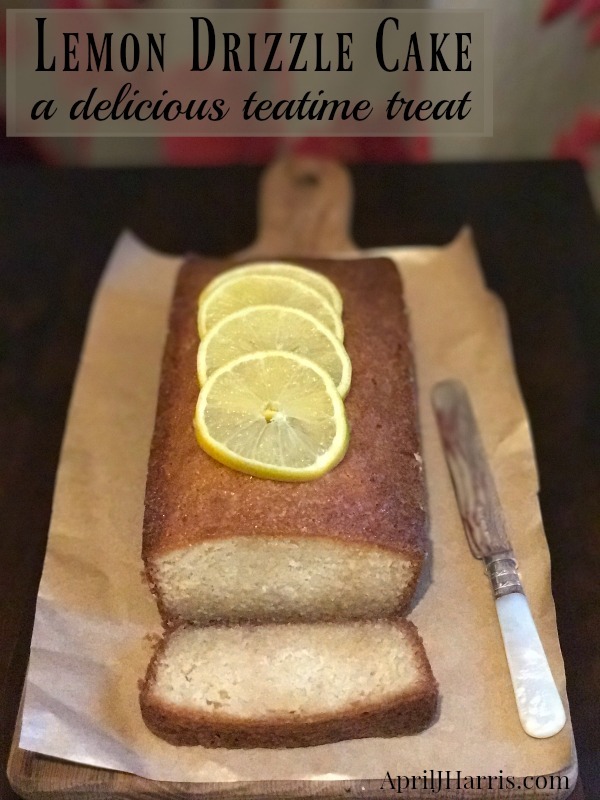 While the Lemon and Elderflower wedding cake will be a much lighter, more elaborate affair than this traditional Lemon Drizzle Cake, adding elderflower liqueur or cordial to the drizzle let you enjoy something similar when you raise a cup of tea – or a glass of bubbles – to the happy couple. It’s also a much easier recipe! Or for another delicious twist, you could try Bergamot lemons. I discovered these new-to-me lemons not so long ago and couldn’t resist trying them in this classic cake. Bergamot lemons are a slightly darker colour than ordinary lemons, almost orange-y. Their flavour is sweeter than an ordinary lemons as well, and they smell of bergamot, the sweet smelling citrus fruit that is used to flavour Earl Grey tea. Bergamots themselves are bitter, but Bergamot lemons are exactly the opposite. In fact, they are often referred to simply as ‘sweet lemons’. Have you ever heard of Bergamot or sweet lemons? Bergamot Lemon Drizzle Cake is awesome – I can’t think of any other words to describe it. I’ve never had a Lemon Drizzle Cake I’ve enjoyed so much. 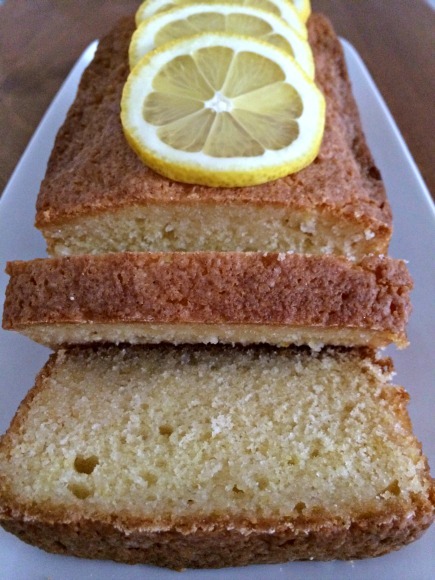 But don’t despair if you only have ordinary lemons – they make a seriously delicious Lemon Drizzle Cake too. 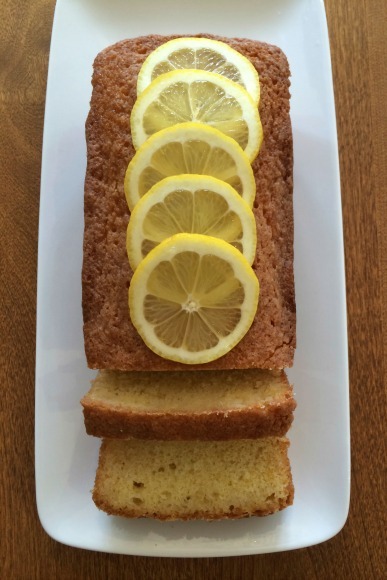 Ordinary lemons would definitely be your best choice for the Lemon and Elderflower Drizzle cake variation. What is Lemon Drizzle Cake? Lemon Drizzle Cake is a delicious traditional British loaf cake. It’s often served at teatime or for a snack at any time of day. The loaf cake is tender sponge, flavoured with vanilla extract and lemon rind. After baking, the warm loaf is studded with tiny holes and hot lemon sugar syrup is poured over top. This makes the cake deliciously tangy and moist. Changing up this recipe is as simple as substituting the Limoncello in the hot sugar syrup for Elderflower Liqueur. I like St Germaine liqueur but there are quite a few Elderflower liqueurs on the market. Or for a non-alcoholic option, substitute Elderflower cordial. If you don’t have self-rising flour, simply substitute the same amount of plain (all-purpose) flour, mixing in 2 teaspoons of baking powder along and an extra ¼ teaspoon of salt. Then add the flour mixture to the batter as detailed in the recipe below. The better the ingredients you use, the better the cake will taste. I always use fresh, unsalted butter, free range or pasture raised eggs and fresh, juicy un-waxed lemons. If you can find Bergamot lemons, you should definitely use them! Simply stirred together on the stove top, the syrup is quick and easy to make as well. 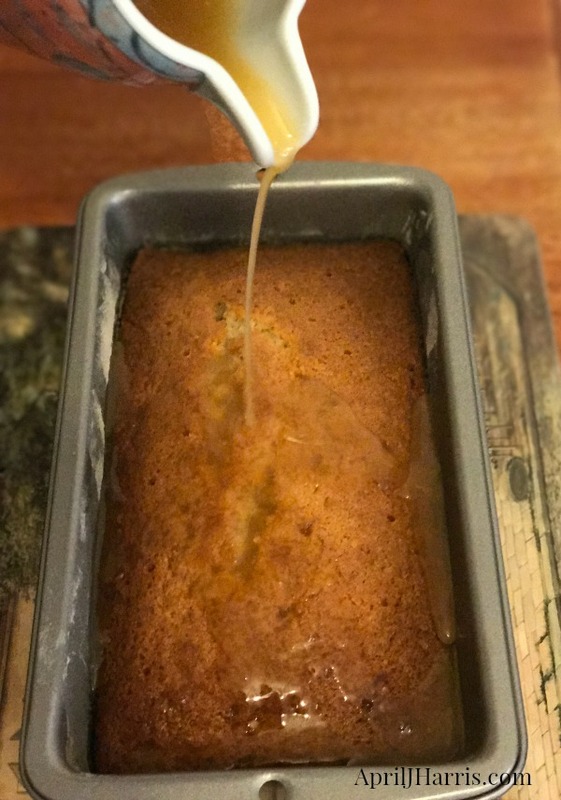 The key with the syrup is to be sure that you poke holes in the warm cake – I use a skewer – and pour the syrup slowly over top, allowing it to absorb before continuing. It may seem like a lot of liquid, but be sure to use all the syrup. It is what gives the cake its characteristic moist texture and fabulous flavour. Be sure to allow the cake to cool completely after pouring the syrup over top, before attempting to remove it from the loaf pan. If you don’t, it will fall to pieces. When the cake is totally cool, gently ease the sides away from the sides of the pan and carefully remove it. Then simply slice, serve and enjoy! Preheat the oven to 350°F (180°C or 170°C for a fan oven). Grease and flour or line a 2 lb loaf tin. Cream the butter and sugar together in an electric mixer. Beat in the lemon zest and vanilla. Fold the flour and salt into the batter with a wooden spoon. Spoon into the prepared loaf tin and bake for about 45 minutes. The cake should be golden and risen in the middle and a skewer inserted in the centre of the cake should come out clean. Remove the pan from the oven but leave the cake in the cake tin. Make the syrup by stirring the lemon juice, Limoncello or Elderflower liqueur and sugar together in a small saucepan and heating gently until the sugar dissolves. Make small holes in the cake with a skewer, cake tester or dry piece of spaghetti. Pour the syrup slowly over top, allowing it to soak in before adding the rest. Be sure to cover the whole cake, including the middle and edges. Let the cake cool completely in the tin before attempting to remove it. Maybe because of the years he lived in Britain…. Perhaps, I shouldn’t have looked at the cake while waiting for dinner to cook in the oven….It looks so yummy! Thank you, Barb. It really is one of our favourites! I found you through the Treasure Box Tuesday and I am glad I clicked your lemon link! I have been seeking out a tasty lemon cake to try. 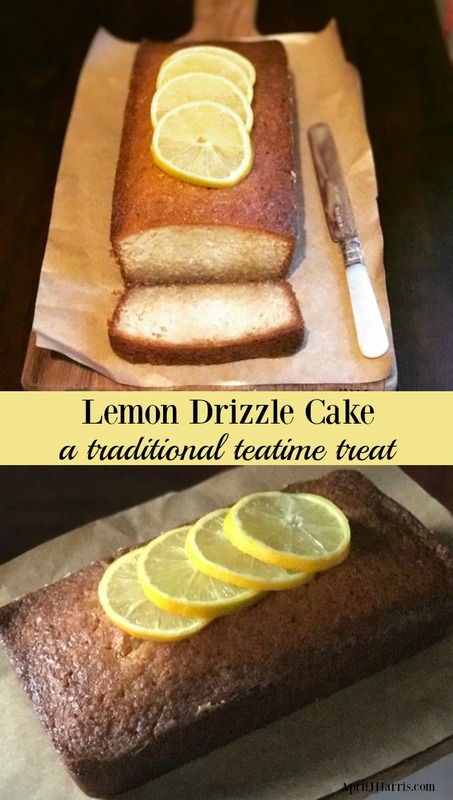 Lately I find myself seeking something lemon flavored and the fact that yours sounds like it would be perfect with tea is another reason for me to try this recipe. I’ve seen a few with lemon glaze toppings, but I fear that would be too sweet. This looks perfect! Thank you, Chrystal! I hope you enjoy it! My mom makes this, too – it’s what everyone begs her to bring whenever there’s a potluck or holiday gathering. They all LOVE it! Wish I had a nice slice of your lemon drizzle cake at this very moment. Beautiful recipe and I love the details. Thank you, Dan 🙂 Wish I could send you some! Loaf cakes like this are the best. Plus sweet with tangy lemon, yes please! Oooh this looks so amazing! Reminds me of the cake at the coffee shop, only 100 times better, YUM! Oooo this sounds DELICIOUS! I love lemon pound cake, I’m sure I’d love this too! And I’ve never heard of bergamont lemons! You had me at “lemon drizzle!” I love that you added Limoncello to the syrup. I’ve never heard of Bergamot lemons, but will have to keep an eye out for them. My mouth is watering, April! My grandmother made an orange juice cake that I just adored and this seems very similar. YUM!!! Oh My Goodness that looks so so good April, so glad you stopped by Oh My Heartsie Girls Friday Features last week to share, I appreciate it and I am sure that our other visitors will too! I have pinned and Tweeted. Thank you so much, Karren, and a special thank you for pinning and tweeting. I hope you have a wonderful weekend! I had this once, at an afternoon tea. Yours looks wonderful! This is a great cake recipe, April! It is a perfect combination with a cup of tea! 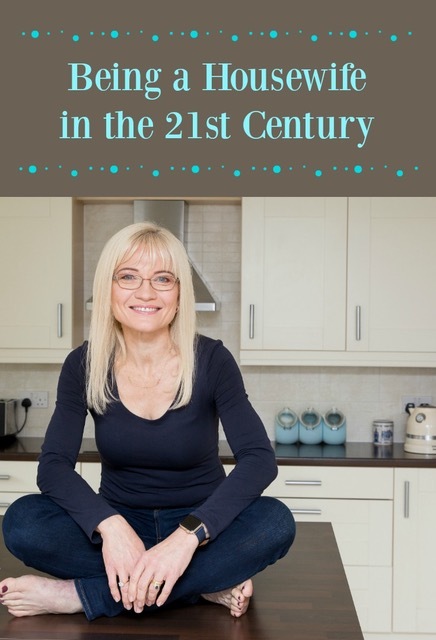 Thank you so much for the feature, Nancy! I’m back in the wrong time zone so have just seen this – am on my way over! There is always something new to learn over here, I have never heard about Bergamot Lemon! Definitely on my to do list, but then I have to use ordinary lemon, since I won’t be able to find Bergamot lemon. Looks divine, April! Thank you for sharing!